Starting a couple of upside players gives you the chance to get more for less. Having consistent weekly producers is ideal, but that is not possible at every position. 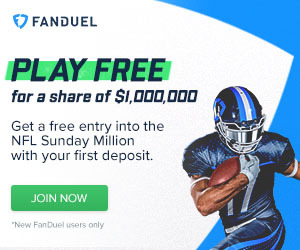 Bye weeks make it especially important to optimize the opportunities that your lineup can give you. These are some players that may offer a high ceiling in week 7. I will go ahead and skip obvious players; you already know that Tom Brady is a good quarterback. Last year's MVP has been struggling mightily, but so has his week 7 opponent. The Patriots cannot stop anyone and they are a dream matchup for quarterbacks right now. No pass rush and a below average secondary mean that Matty Ice should return to 2016 form, at least for a week. If the Falcons do not have a huge passing game this week, it is time to panic. The Titans appear to be getting things together on offense and that will continue this week. The Browns are one of the weakest opponents that the NFL can provide. Eric Decker seems to be emerging as a threat (finally) and that gives Mariota more flexibility. The return of Corey Davis has been postponed again, but Decker, Rishard Matthews and Delanie Walker should give the Browns fits. The Bills have an outstanding matchup against the Bucs stumbling pass defense. Unfortunately, Taylor has nobody to throw to outside LeSean McCoy. This should be a fantasy bonanza for the talented dual-threat, but I just do not see how it happens. Full Disclosure, I am starting Taylor in a couple of spots with Deshaun Watson on a bye, but I am not optimistic. The name recognition here makes it seem like an obvious pick. Remember that until last week, Peterson had been cut in the majority of fantasy leagues. He may not be the dominant force that he once was, but he will look like it in week 7. The Rams have struggled defending the run and the Cards will be out to showcase Peterson again. All Day will make it feel like a long day for the Rams defense. McKinnon has a world of ability and an easy matchup. Fire away. From a former Viking to a current one, the fun will continue for McKinnon as well. The uber-athletic, versatile young back is set to face a lackluster Ravens front. The Vikings run blocking is light years ahead of 2016 and that means another big game for the strong side of the committee. For those concerned about the recent fumbles, relax. 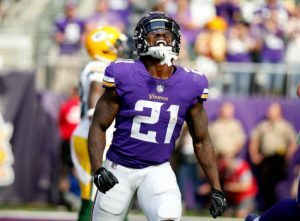 They were a blip on the radar and will not cause him to lose time to plodder Latavius Murray. The Colts lost backup running back Robert Turbin to a serious arm injury last week. Frank Gore is too old to carry the load alone and Mack is clearly the more explosive option. The rumblings for more Mack are getting too loud to ignore and I think that this will be a breakout week. Mack is tied for second in the league in runs of 20+ yards and he has only carried the ball 27 times. The Jags have a tough time with the run, so the Colts will likely attack with both rushers this week. The Broncos top wideout has been spotty with his production this season. Despite being dinged up, he should see a big workload in week 7. Emmanuel Sanders has been ruled out and Bennie Fowler is a big drop off in terms of ability. The Chargers secondary has been beatable this season, although Casey Heyward has been very good. The volume should be enough to propel Thomas to a big week. The Saints ppr machine has not been able to get going yet this season. Snead served a suspension early on and then was slowed by a hamstring injury. He is getting healthier at the right time as a matchup with the Packers looms. The Pack has a below average secondary and Brees should have little trouble picking it apart. This is the game where Snead gets right and the Saints start hitting on all cylinders. The Rams have been quietly using Woods as their number one receiver. Sammy Watkins has the ability, but he is largely ignored by Goff. In addition to that, he will probably be taken out of this game by Patrick Peterson. Outside of their top corner, the Cardinals cannot stop anyone in the passing game. That should mean a lot of Woods and Cooper Kupp. Woods has been the more reliable target of the two, although he is yet to reach the end zone. This week should be the end of that dry spell. Graham is ready to get things going in a tasty matchup with the Giants. 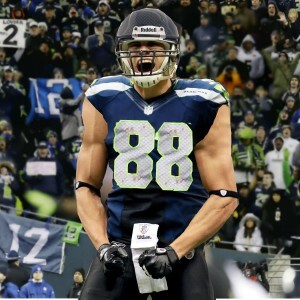 This is the week that Jimmy Graham owners have been waiting for. The former stud tight end is about to light up the scoreboard like the old days. Just about every opposing tight end has gotten over on the Giants. Graham is not what he once was, but he is still good enough to dominate the cardboard cutouts rolled out weekly by Big Blue. If Graham cannot score at least once and maybe twice, he is firmly in the column of unreliable options. The catches have been there for Walker, but he has largely been held in check nonetheless. He has caught at least three passes in every game, but has only reached at least 60 yards twice. He has also been kept out of the end zone thus far. A matchup with the generous Browns defense is the perfect remedy for these problems. There is a strong chance that Walker scores this week and he should get close to 100 yards. Mariota is still nursing a hamstring injury, so he will be looking to throw when he might normally scramble. There are lots of factors working in Walker's favor. The Colts offense has a lot of holes, but Doyle has produced in easier matchups. The Cardinals qualify there, when it comes to defending tight ends. They have struggled mightily this season versus the big pass catchers in the middle. Doyle has a chance to have a big game as the Colts look to get something going against the suddenly explosive Cards. If you need a replacement for your QB, D/ST or Kicker for the week, check out the week 7 streaming picks. Check back throughout the week for more exclusive content and commentary. Be sure to follow us on Twitter for a few extras: @_knuckleheads and @brendancole16.